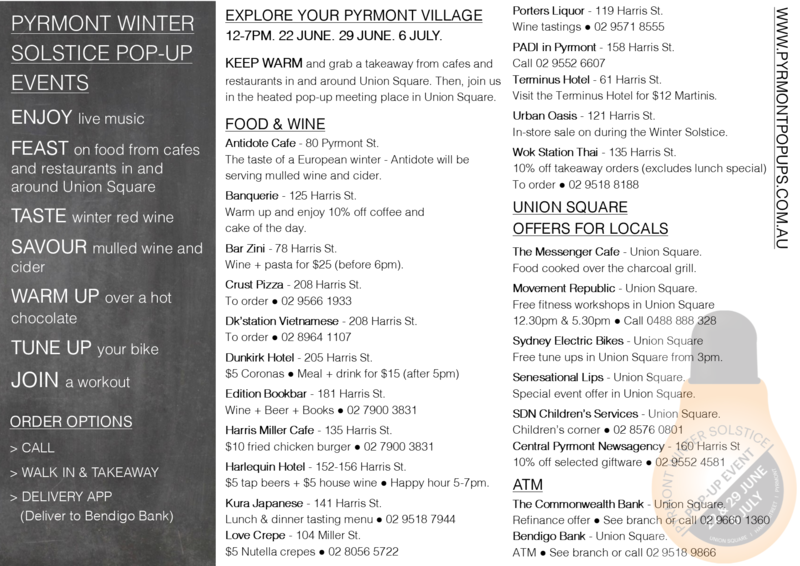 Pyrmont Pop Ups is here! 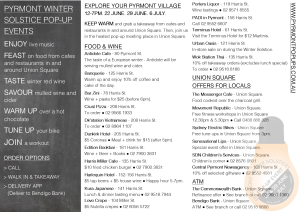 This Friday June 22 is the first in the three part series of the Winter Solstice Pyrmont Pop Up event. 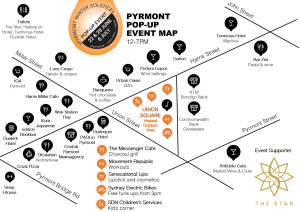 Union Square will be the focal point with a program of events leading into the evening. 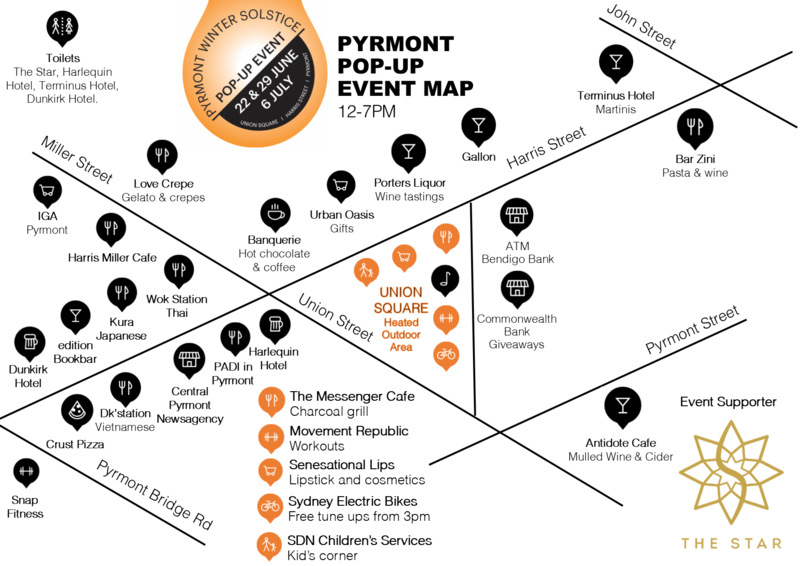 Click on the images below to read the program and see the event map.